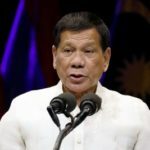 17 Mar 2019 – Philippine President Rodrigo Duterte and his government committed war crimes and crimes against humanity, aided and abetted by U.S. President Donald Trump and his administration, according to a recent ruling from the International Peoples’ Tribunal on the Philippines. The tribunal, which was held in Brussels, Belgium, on September 18 and 19, 2018, rendered its 84-page decision on these crimes on March 8. Conveners of the tribunal included the International Association of Democratic Lawyers, European Association of Lawyers for Democracy and World Human Rights, Haldane Society of Socialist Lawyers, IBON International, and the International Coalition for Human Rights in the Philippines. A panel of eight jurors from Egypt, France, Italy, Malaysia, the Netherlands and the United States heard testimony from 31 witnesses, including me. These jurors ordered the defendants to make reparations; to provide compensation or indemnification, restitution and rehabilitation; and to be subjected to possible prosecution and sanctions for their crimes. Although the tribunal does not have the power to enforce those measures, its findings of facts and conclusions of law could be used to bolster the preliminary examination of crimes by the Duterte regime currently pending in the International Criminal Court (ICC). “The Tribunal has finally rendered its historical and comprehensive decision,” Edre Olalia, president of the National Union of Peoples’ Lawyers (NUPL) in the Philippines, who also served as clerk of the tribunal, told Truthout in an email. Indeed, attorney Benjamin Ramos, secretary general of the National Union of Peoples’ Lawyers, was assassinated on November 6, 2018, two months after the tribunal proceedings. “Atty. 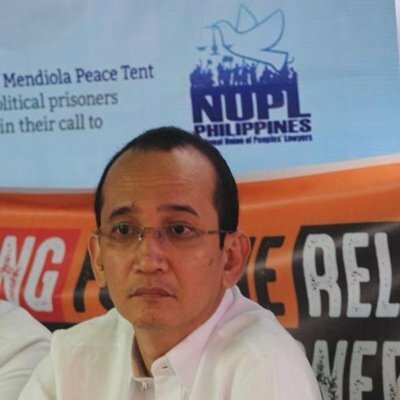 Ramos was a leading human rights lawyer in Negros, who passionately advocated for genuine agrarian reform and peasant rights,” the NUPL said in a statement. Ramos was the 34th lawyer killed by the Duterte regime. Two more have been killed since. The tribunal found Defendants Rodrigo Duterte and his regime, and Donald Trump and his administration guilty of gross and systematic violations of civil, political, economic, social and cultural rights; and the rights of the people to national self-determination and development. Duterte is responsible for the crimes of his administration under the doctrine of Command Responsibility. Commanders are criminally liable for murders and other crimes committed by their subordinates if they knew or should have known they would be committed and they did nothing to stop or prevent it. Liability for the Trump administration was based on its role as accomplice to Duterte’s crimes. The Rome Statute of the ICC includes aiding and abetting liability for war crimes. An individual can be convicted of a war crime in the ICC if he or she “aids, abets or otherwise assists” in the commission or attempted commission of the crime. This includes “providing the means for its commission.” The U.S. government supplied the Duterte regime with $175 million in foreign military financing in 2017 and 2018, and $111 million in 2019. Duterte is perpetrating a ruthless “war on drugs,” which has taken the form of a violent war on suspected drug users. Most victims of the drug war are poor people from the slums. A police memo ordered that suspected drug users be “neutralized” or killed. The government admits to killing at least 4,410 people suspected of drug use as of July 31, 2018. Independent sources put the number at 23,000. The police claim that they acted in self-defense. There is a culture of impunity for officials in the Philippines. Police officers who carry out illegal killings are not brought to justice. They are promoted to higher posts. Many lawyers are afraid to defend drug suspects for fear they might be killed. Since Duterte took office on July 1, 2016, the regime has illegally killed 10 prosecutors, 21 lawyers, three judges, and 13 journalists. Extrajudicial means outside the law. Fatou Bensouda, chief prosecutor of the International Criminal Court wrote in an October 2016 statement about the situation in the Philippines that extra-judicial killings may fall under the jurisdiction of the ICC “if they are committed as part of a widespread or systematic attack against a civilian population pursuant to a State policy to commit such an attack.” That is the definition of a crime against humanity. Witnesses testified at the tribunal that suspects and prisoners endure physical and psychological torture. Janry Mensis, a miner in Mindanao, testified via video. He described how he and his brother were arrested, detained and tortured. They were tied and detained inside an ambulance for nine days. Then they were hogtied and their mouths covered with packing tape. The soldiers then strangled them. When the brothers pretended to be unconscious, they were thrown into a pit with wood and oil and set afire. They dragged themselves out of the pit after the soldiers left them for dead. They both suffered third-degree burns and other injuries from the torture. 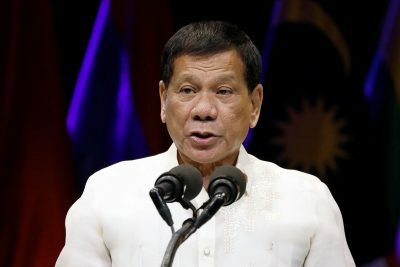 Duterte declared Martial Law in Mindanao on May 23, 2017, purportedly in response to an invasion in one city by an alleged ISIS-inspired group (ISIS is also known as Daesh). His government has used the Martial Law to conduct illegal arrests and detentions, enforced disappearances, forced displacement and arbitrary deprivation of property, destruction of mosques and schools, and arbitrary denial of humanitarian aid to civilians caught in the crossfire. After considering this evidence, the tribunal found violations of the International Covenant on Civil and Political Rights; Universal Declaration of Human Rights; Geneva Conventions; Nuremberg Tribunal; International Convention on the Elimination of All Forms of Racial Discrimination; Convention against Torture and Other Cruel, Inhuman or Degrading Treatment or Punishment; and UN Declaration on Human Rights Defenders. Murder, torture and cruel treatment constitute war crimes under the Rome Statute and the Geneva Conventions. Murder or torture committed as part of a widespread or systematic attack directed against any civilian population, with knowledge of the attack, constitute crimes against humanity under the Rome Statute. The Philippine and U.S. governments were not the only entities on trial at the tribunal. Other defendants included the International Monetary Fund (IMF), the World Bank, the World Trade Organization (WTO), and transnational corporations and foreign banks doing business in the Philippines. “Duterte’s economic policies result in the deprivation of genuine government service as they divert public funds to corruption and big ticket projects demanded by Defendants World Bank, IMF, WTO and transnational corporations,” the tribunal wrote. Witnesses testified to “the impact of an exploitative system that has deprived millions of Filipinos of their livelihood, demolished the shanties of the marginalized poor, grabbed lands of the peasants and condemned workers to eternal poverty through perpetual contractualization and the exportation of labor, many of whom are victimized abroad,” Colmenares summarized. The evidence revealed the imposition of “an exploitative system which has reduced the Philippines into a producer of raw material for industries; reduced the Philippines into a mere source of cheap labor and a lucrative and pliant market for their goods.” This is called neoliberalism. The tribunal found violations of the International Covenant on Economic, Social and Cultural Rights; Universal Declaration of Human Rights; Convention Concerning Freedom of Association and Protection of the Right to Organize; Convention on the Right to Organize and Bargain Collectively; Algiers Declaration; Convention on the Elimination of All Forms of Discrimination Against Women; and International Convention on Protections of Rights of All Migrant Workers and their Families. Witnesses documented widespread and systematic attacks on indigenous peoples and national minorities, and the use of white phosphorous gas and enforced disappearances, which amount to crimes against humanity. In February 2018, Bensouda opened a preliminary examination into possible crimes committed since at least 1 July, 2016, in the context of the “war on drugs” campaign launched by the Philippine government. A preliminary examination is an initial step to determine whether there is a reasonable basis to proceed with a full investigation. Even if the ICC does not ultimately investigate and prosecute war crimes and crimes against humanity committed by military and police officials of the Philippine government, other countries could bring the offenders to justice under the well-established principle of universal jurisdiction. Any country can try a foreign national for war crimes and crimes against humanity when the suspect’s home country is unable or unwilling to prosecute, and Duterte has proved unwilling to prosecute those responsible for the heinous crimes against the Filipino people.